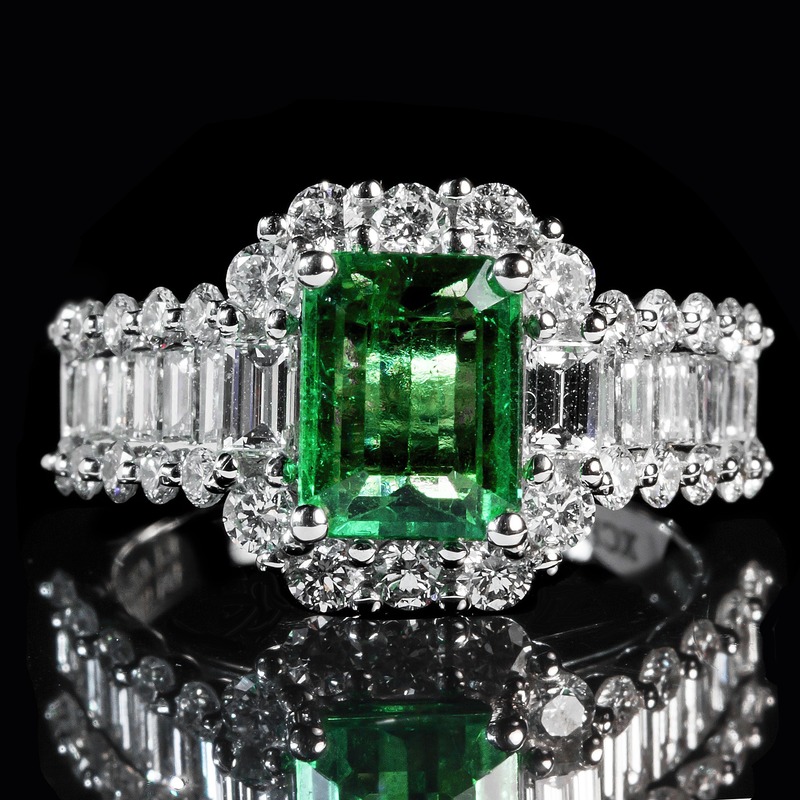 Sotheby’s achieved its highest total for a Fine Jewels auction as an emerald ring got sold for more than double its estimate in New York, wrote Rapaport. The piece featured a lozenge-shaped, 10.68-carat Colombian emerald with a baguette diamond on each side. It went for $1.2 million, its pre-sale estimate was $300,000 to $500,000, which made up an average price of $113,764 per carat. In total the auction fetched $11 million, with 76% of lots sold. “We saw outstanding prices for white and fancy-coloured diamonds, especially pear-shaped stones — all of which outperformed their estimates,” said Kendall Reed, head of Sotheby’s fine-jewels division n New York. Sotheby’s also noted strong sales of jewels from the Alhambra collection by Van Cleef & Arpels offered at the auction to celebrate the brand’s 50th anniversary. Four pieces from the line were sold for a combined $141,250, more than twice their high estimate of $66,000. Other notable jewellery included a heart-shaped, 1.08-carat, fancy-vivid-purplish-pink, VS1 diamond ring. It went for $483,000 against an estimate of $250,000 to $350,000. A pear-shaped, 8.96-carat, VS2 diamond ring was sold for $250,000, exceeding its pre-sale valuation of $100,000 to $150,000. Another pear-shaped stone of 8.18 carats from designer David Webb fetched $225,000 with an original price forecast of $100,000 to $150,000. The next Sotheby’s jewelry auction will be the Magnificent Jewels and Noble Jewels sale in Geneva in November, which will include pieces from the royal Bourbon Parma family.